Winter in Canada is no time to have your furnace conk out. 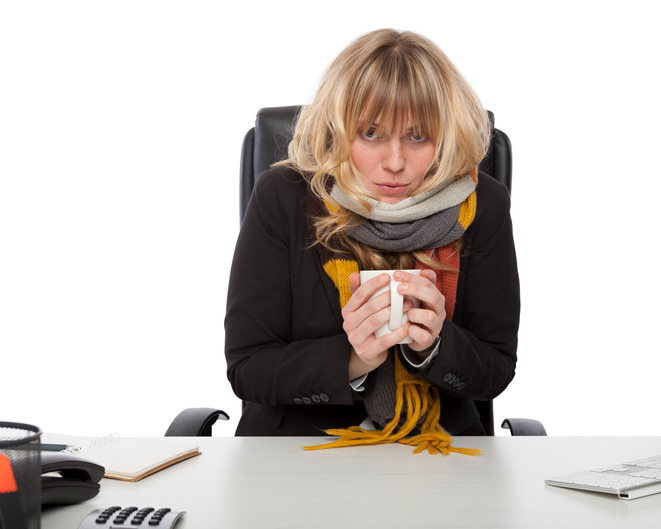 First of all, freezing employees are far less productive (as well as much more likely to get sick and not come to work at all). Next, a poorly functioning heater is a safety risk to you, your staff, and your building, not to mention your business itself. Finally, a broken furnace or heater is much more expensive to repair than one that is operational and just needs a tune-up and minor repairs here and there. As a business owner, you already have a full daily to-do list, so being preventative is smarter than having to deal with an emergency. In this post, we introduce you to the most common issues with commercial heaters and offer suggestions for how to fix them. The pilot light goes out and won’t re-light. If the pilot light ignition gets clogged, dirty, or blocked in some way, you could end up with a fire hazard on top of a dysfunctional furnace. The furnace itself refuses to turn on. Once the motor stops working, the furnace will stop working. The furnace blower just blows and blows and blows. A blower that won’t stop even when you turn the furnace off is mostly likely caused by a dirty, clogged, or blocked air filter that is interfering with the off switch. The main furnace burner won’t light or stay lit. If the burner won’t stay lit (or light at all), it could be an issue with a number of parts, including the flame sensor, the condensate drain, or even the fuel supply line. The burner lights but the blower won’t turn on or stay on. The motor or run capacitor (or both) is failing. The furnace starts making unusual noises. The best sound a furnace can make is no sound at all. When your furnace starts sounding like its is having a fistfight with itself, it is time to call a professional. Prompt maintenance can help prevent untimely outages. Appliance malfunction. Here, the most common cause of malfunction is poor maintenance or lack thereof. When annual inspection, maintenance, and repairs are neglected or warning signs of small repair needs are ignored, workplace fire can be the expensive and damaging result. Wiring or electrical issues. Overloading extension cords, running cords across high foot traffic areas, failing to repair or replace frayed electrical wiring, and not cleaning connectors can result in workplace fires. Smoking. Leaving cigarettes smouldering is the number one cause of smoking-related fires. Clutter. Permitting flammable or combustible materials, clutter, or debris to gather near to or touch appliances or electrical connections can quickly lead to sparks and workplace fire. Ensure all employees are trained in fire safety and workplace evacuation procedures. Verify the safety and integrity of all appliances and electrical components, including furnace and/or heating equipment, at least once annually. Each day, we respond to emergency repair and service requests from customers who are shivering due to heating outages. Many of these calls could have been prevented with some timely minor maintenance. However, it is all too easy to let the hectic pace of daily life allow you to place furnace maintenance on the back burner, so to speak. For this reason, our best recommendation to both our commercial and residential clients is to get one of our money and time-saving tune-up and protection plans. When you sign up for the plan of your choice, you delegate to us the responsibility of inspecting, cleaning, and maintaining your heating system (and your cooling system in summer). It then becomes our job to call you to schedule your annual heating and cooling inspection, maintenance, and service appointment. It falls to us to make sure your HVAC and furnace equipment is in tip-top working condition so you never have to pay for major repairs or an emergency replacement. We also commit to saving you extra money and time by giving you a 20 percent discount on all repairs and discounts or waivers on overtime diagnostic charges along with many other valuable savings and benefits. 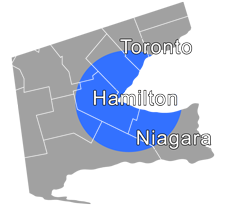 Here at Shipton’s Heating & Cooling, we are excited to announce that, after nearly 100 wonderful years spent serving Hamilton and the surrounding areas, we have expanded our service areas to include St. Catharines and Oakville. If you live or work in Hamilton, St. Catharines, Oakville, or nearby areas, now is your chance to find out why Shipton’s has been voted the winner of the Hamilton Spectator’s Readers’ Choice Awards (Platinum and Gold) this year. We have earned nearly 400 5-star reviews from happy customers, and are eager to offer you this same high level of award-winning service. Contact us at 905-549-4616 (Hamilton, St. Catharines) or 905-388-5616 (Oakville) to schedule your inspection and maintenance appointment or get one of our money and time-saving tune-up and protection plans. You are also welcome to contact us online.